Are you repairing your own table, or fixing up one you found on Craigslist? You’ll need new felt to cover the playing surface. In this buyer’s guide, we’ll review 6 of the best cloths on the market for both serious and casual players. We’ll also show you what you need to know when buying pool table felt. 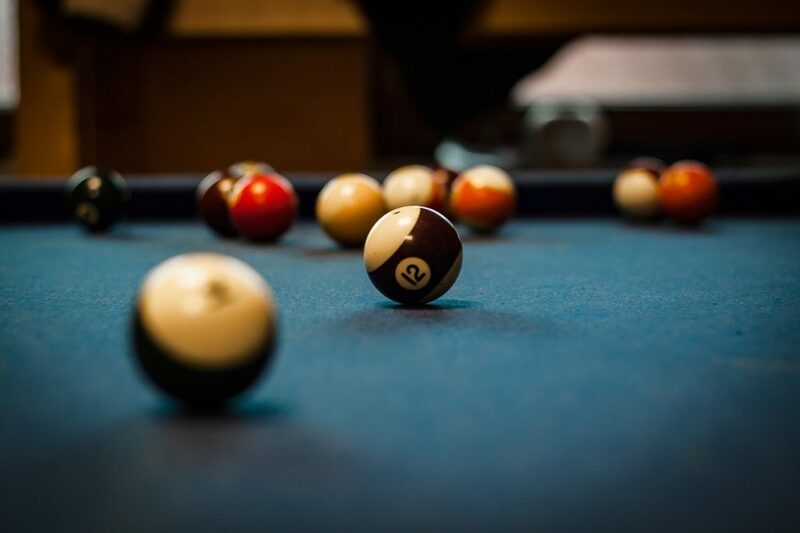 In this section we’ll outline some things to consider when shopping for a cloth for your billiard table. If you’re already a pool cloth expert, skip to our reviews. Billiard table felt is usually made from a mixture of wool and nylon or wool and polyester. However, the material comes in many different thicknesses and thread specifications. As a result, each cloth has a distinct feel to it when you’re playing eight or nine ball pool. 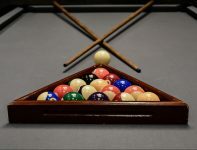 There are two main varieties of billiard table felt, each of which is designed for different types of players and different types of pool table. Woolen cloth is used on most public tables in bars and on less expensive tables for casual players. It’s quite cheap but is prone to developing those balls of fuzz (called pills) after you’ve had it installed for a while. 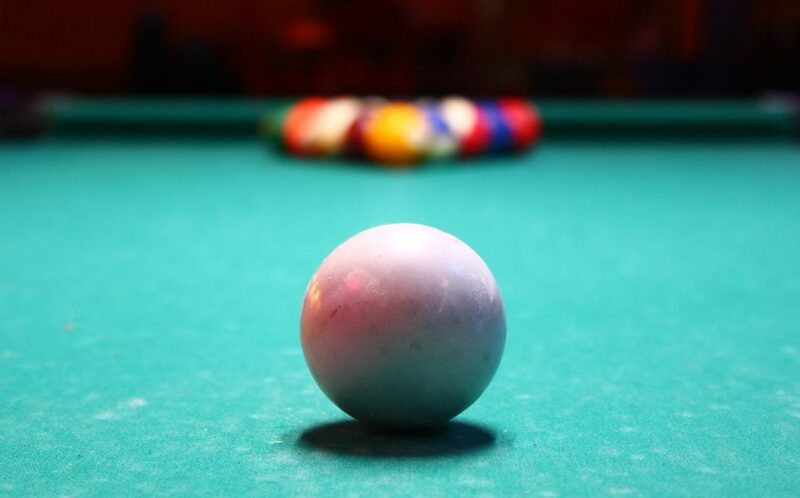 Balls will generally roll relatively slowly on woolen cloth because there’s more friction being generated between the cloth and the billiard ball. Worsted wool cloth (sometimes known as speed cloth) on the other hand is what’s used on professional-grade pool tables like the Gold Crown V made by Brunswick. It’s more expensive but the balls will travel much faster, as there’s no nap on the top side of this cloth. If you’re a serious player there’s really no substitute for the smoothness and the consistency of worsted wool cloth – this is why most semi-pro and professional tournaments require the use of tables with this type of surface. Choosing the color for your billiard table felt is down to personal preference. Think about the aesthetic of the room the table will be in – would a bright blue surface clash with the color palette of your house? If you’ve got a classic 50s table, a traditional green felt would probably look the best. These days you can go for anything from classic green or blue to red, maroon, khaki, black, grey and even orange cloth. 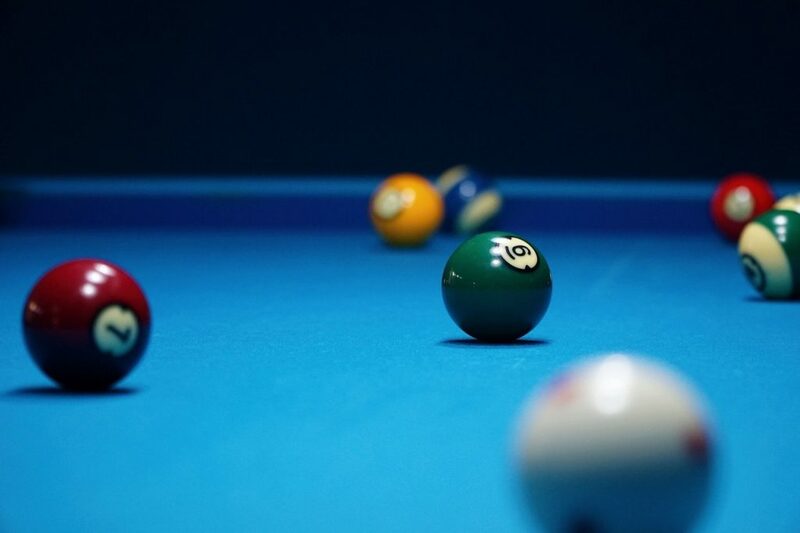 In our opinion, grey and black should be avoided because these colors can clash with the cue ball and the 8 ball, impacting your ability to make long pots. Other than that, choose a color you like the look of that’s available for your table size. This table has quite a lot of chalk on it – it needs a good clean! Billiard table felt is actually pretty delicate stuff. It can fade in the sun, lift from the surface due to moisture in the air, and wear down from the friction generated when you strike the cue ball. Use a pool table brush (see below) to remove excess pool chalk from the table after every session. Push the dust towards the pockets to avoid having it build up in the felt. Get a microfiber cloth and clean your pool balls (particularly the cue ball) every so often. This prevents chalk from being distributed all over the table. Buy a pool table cover to protect from dampness and ultraviolet light. Eventually though you’ll have to replace your table’s cloth. Some wear and tear, like holes made from miscuing (kids love to play with too much backspin!) and “burns” that come from the heat generated by the friction between the ball and the surface, cannot be repaired. Depending on how often you play, a good quality cloth should last at least 5-10 years before it needs replacing. Retailers sell pool cloth based on the standard pool table sizes, like 3.5′ by 7′ for instance, which is the official size of a 7 foot table. They normally include enough material for the surface and the rails. If you’ve built a table that isn’t a standard size, calculate how many square feet you need and buy accordingly. Remember that most pool table felt is sold pre-cut to the size of a 7, 8 or 9 foot table. You’ll need to find some that isn’t pre-cut if you have a non-standard table. Honestly, it’s best to get a professional pool table technician to install your felt, because it’s easy to mess it up. You’ll need to cut it to size (unless it’s pre-cut), take off the rails, and secure it in place without leaving any bumps on wrinkles on the surface. If you hire a guy to do the job he’ll make sure that the surface is silky smooth, and the job should only set you back $100 or so. Now onto the reviews! First we’ll look at 3 of the best worsted wool pool table felts. If you’re looking for regular woolen cloth instead, skip to the relevant section. Simonis is truly the market leader when it comes to pool table felt. They own the only mill in the world dedicated to producing cloth for cue sports, particularly billiards and pool, and have been making fabric since 1680. As a result of their experience in the field, Simonis is able to produce awesome worsted wool felt that simply does not pill. The 760 cloth makes for a fast, durable surface that won’t lose its speed for at least a few thousand games. It comes in a range of classic and non-traditional colors: dark green, blue, red, burgundy and camel. Simonis even advertise that the 760 is stain-resistant, meaning you should be OK if you spill your drink – but red wine might be the exception to this rule! As one of the finest worsted wool cloths around, the 760 is pretty expensive compared to other woolen varieties. It’s definitely worth the price though – if you’re looking for top notch performance, nothing really beats this felt. Very fast, won’t lose its speed even after years of use. Comes pre-cut, making it easier to install. Big range of colors available. Bit expensive, but it’s definitely worth the money. As well as the 760 felt we just reviewed, Simonis makes a similar product called the 860, which is also a fantastic cloth. While the 760 is made with 70% worsted wool and 30% nylon, the 860 has 90% worsted wool and only 10% nylon. As a result, the 860 is slightly slower than the 760, which is great if your local tournaments are played on sluggish tables. 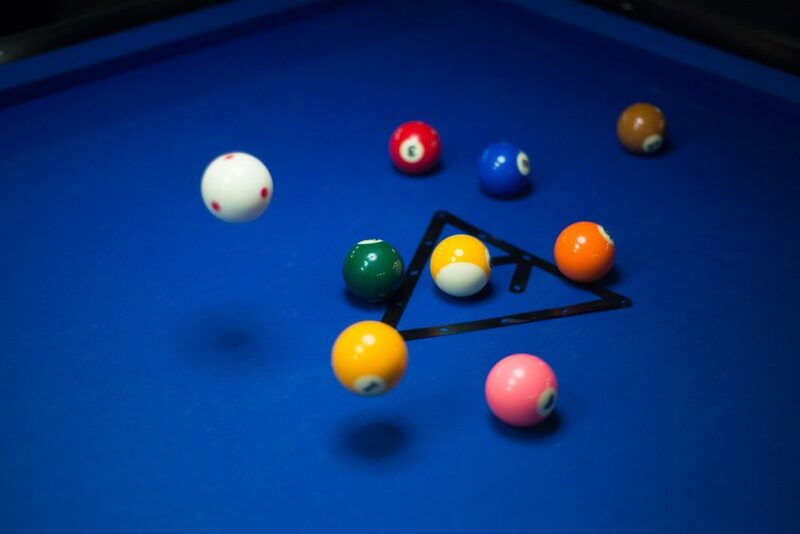 However, it’s by no means slow – the balls will still run a long way like they do on pro tables. The 860 also comes in a few more colors than the 760 – you can get it in a lighter shade of green as well as a bright red. As you’d expect from a top of the line Simonis felt, the 860 is stain resistant, does not produce fuzz, and should last you a decade or more. It features an extremely high thread count, meaning that it won’t shed or wear down over time. With regards to cost, this cloth is the same price as the Simonis 760. It is a little costly, but as with the 760, the quality means that it’s truly worth the price. Awesome durability, retains its speed well. Pricey, but once again it’s 100% worth it. If you don’t wanna break the bank when buying worsted cloth, ProForm is an excellent choice. They haven’t been around for as long as Simonis, but they still produce a fantastic felt that is considerably cheaper than what their Belgian competitor offers. ProForm has opted to use a 70/30 worsted wool/nylon ratio, meaning that this cloth feels very fast, similar to how pro tournament tables play. The cloth itself is shipped pre-cut for easy installation, and it comes in a massive range of colors. Everything from spruce to steel grey is available: if you want khaki, purple or “wine” colored felt, you’re in luck! The best thing about this felt though is its cost: it’s quite cheap for a worsted wool cloth. Despite the low price, ProForm’s felt is surprisingly durable. Although it’s not advertised as stain-resistant, it’s sure to retain its speed for years to come. This cloth is also designed specifically to combat ball-burn, meaning that the surface won’t get scuffed from everyday use. Durable – resistant to ball burn. Huge range of colors available. None to mention – this is an awesome cloth for the price! For casual players and owners of tables that are used in pubs and clubs, napped woolen felt is great value for money. In this section we’ve reviewed 3 cloths that are super durable but won’t break the bank. If your table’s gonna see its fair share of wear and tear, the Championship Saturn II is probably your best bet. It’s coated with DuPont Teflon (a type of nonstick coating used in cookware) to prevent staining. The felt material itself is quite resistant to burn marks, and surprisingly it doesn’t fuzz up as much as you might expect considering the price. This cloth comes pre-cut, and plenty of extra material is included to make the install process easier for all you DIY people out there. There’s also a great range of colors available (except for blue, sadly) and the price is fantastic. In terms of speed and performance, this cloth is pretty good considering what you pay. It’s not as fast as a comparable worsted wool cloth, but the felt is very consistent – you won’t find any little bumps or fraying. Overall, if you want to re-felt your billiard table for under $100, this material is a great option. Very durable – stain resistant. Not very fast, ball won’t run as much as it would on a more expensive felt. This Championship billiard felt is a bit more expensive than other woolen materials, but not quite as costly as premium worsted varieties. Essentially it’s a middle of the road option. If you want great quality but don’t want to spend $200+ on a worsted wool felt, try out the Championship Invitational. Like with the Saturn II we just looked at, the Invitational comes pre-cut and has a microscopic layer of DuPont Teflon to prevent staining. Spilled liquid can be wiped up before it sets into the felt, so you can keep playing without worrying about discoloration. As a bonus you also get a few pieces of chalk to go with your newly resurfaced table. For the extra cost (in comparison to the Saturn II) you get a slightly thicker material which is highly resistant to scratches from miscuing. If you’ve got kids, this can be a great thing to have – a tiny little hole in the middle of the table can really mess up the entire surface. Obviously it will still break if it gets poked really hard, but this felt is quite a bit sturdier than even some more expensive varieties. In terms of performance, this cloth is a solid all-rounder. It’s not too fast nor too slow. This is another reason why it’s a great felt for family tables – the pace is very consistent. It also comes in a heap of colors, although you’ll have to scour Amazon to find each separate listing. The only thing we can fault this cloth for is the price. It’s a really great felt (especially in terms of durability) but we’re not sure if it’s worth the extra money over the Saturn II. Good build quality – consistent pace. Pre-cut & comes with a few pieces of chalk. Bit expensive for a woolen cloth. If you’re a bar owner, or you’re looking to learn how to re-felt your table without the risk of ruining some worsted cloth, using inexpensive felt isn’t an issue. As some of the cheapest material on the market, the Iszy Billiards performance-grade cloth is perfect for casual players. So what’s the downside to paying so little? The main issue is this felt is prone to pilling – you’ll have to sweep off the fuzz balls every so often. It’s also shipped folded, meaning you might have to iron out the creases before installing the new surface. Unless the felt has been sitting still for a long time, the folds should disappear after the cloth has been stretched out over a table for a week or so. Iszy Billiards don’t pre-cut this cloth, so you’ll have to do it yourself. Surprisingly, this felt is actually pretty fast, but not as quick as worsted wool varieties. You might get a few ball burns, but overall this material has decent durability considering the price. Large range of colors available. Great ball speed considering the price. Will generate fuzz balls pretty regularly. Hopefully you’ve found the right felt for your pool table. Good luck installing it, if you’re doing it yourself! Still not sure what cloth to buy? Leave a comment and we’ll get right back to you. Brunswick “Contender” Tables needing new felt. I’m not sure what cloth is on there at this time, but it has become slow after about 3 years of use, ball burn, and a large volume of usage. The director is looking for a cloth with a long life span, holds its speed and won’t cost an arm and a leg. We have a few players who won’t mind throwing in for some better then normal – good cloth as long as it’s not really costly. I think your comments on this is needed by us to decide on a proper cloth. Thank you. For tables that are going to see a lot of use, woolen cloth is probably your best bet. It’s generally very durable, and is also much cheaper than the worsted stuff. We’d highly recommend the Championship Saturn II cloth. It’s reasonably priced, durable, and available in a few different colors for 8′ tables. Alternatively, you could pay a little more for Championship Invitational felt, which is slightly more durable (resistant to scuffing from miscues). Both come with a layer of DuPont Teflon to prevent staining. Also keep in mind that installing new felt isn’t exactly easy – it pays to have something really tough so you don’t have to do it very often!